Large bust, a bit larger than a human's head and shoulders. 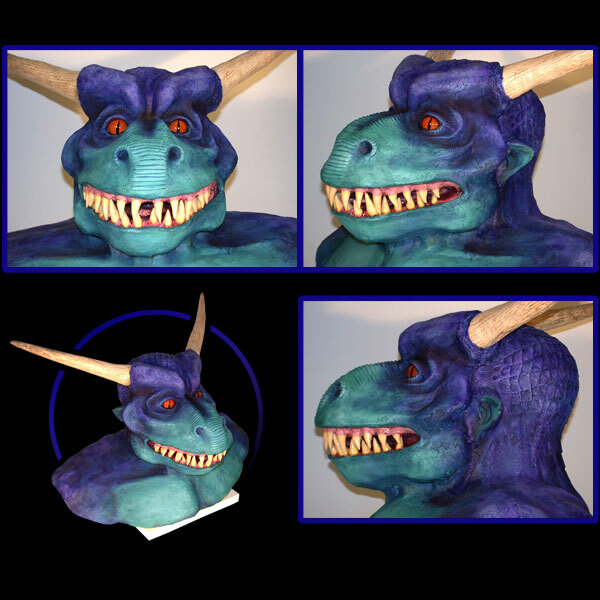 Airbrushed with acrylic paints. The horns are a lightweight resin.